Anchoring the northwest corner of Franklin and Highland Avenues, this church has a cinematic past. With its neo-Gothic architecture it has a wood-beamed ceiling that is a smaller version of the one in Westminster Abbey. The church opened in 1929 and has starred in *What Price Hollywood? 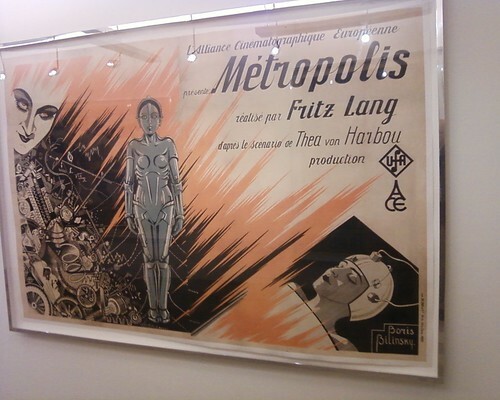 * (Constance Bennett marries her polo-playing boy toy here), *One Foot in Heaven* and it is here that terrified Angelenos in *War of the Worlds* sought refuge from the Martian attacks on their city. Not far from the Roosevelt Hotel. The school opened in 1904 surrounded by bean fields and lemon groves. Those days are long gone but HHSchool is one of the oldest schools in the City of Angels and is still graduating seniors. Numerous attendees have gone on to have careers in Hollywood. This place has another storied classic Hollywood past. Today it is home to Nickelodeon Studios but back in the day it was the Earl Carroll Theater. The beautiful neon sign declared ?through these portals pass the most beautiful girls in the world? and they did indeed. Yvonne DeCarlo, Sheree North, Marie McDonald and more all got their start here. In 1948, Carroll and his wife were killed in a plane crash. In 1953, the theater was reimagined as the Moulin Rouge, with live big-name entertainment. Those of us of a certain age remember it for it?s *Queen For a Day* tv show which offered as its prize, a wonderful day in Hollywood. In the late 1960s, the Smother Brothers bought the property and brought *Hair* to Los Angeles. They renamed the theater the Aquarius to fit in with the theme. For over forty years the Dome has anchored this end of Sunset Blvd. It has seen a number of changes in the neighborhood but the Dome has endured. The Dome, designed by Welton Becket, opened in 1963 with *It?s a Mad, Mad, Mad, Mad World*. It offered state of the art Cinerama and stereo sound. About ten years ago, developers were threatening to tear the Dome down. Thanks to the LA Conservancy?s Modern Committee, Hollywood Heritage, SavetheDome and the citizens of the City of Angels, that didn?t happen. 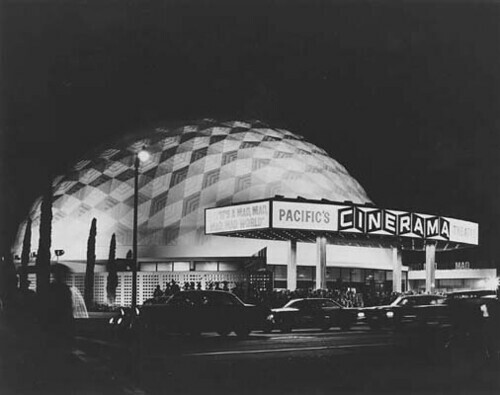 Today, the Dome is the cornerstone of the Arclight?s theater complex. Edited by: lzcutter for pics! Gower St and Sunset Blvd. Here is where Hollywood, the dream factory, first started. Where the now deserted (and endangered) CBS Columbia Square stands on the north side of Sunset, once stood the first film studio in Hollywood, the Nestor Film Company. 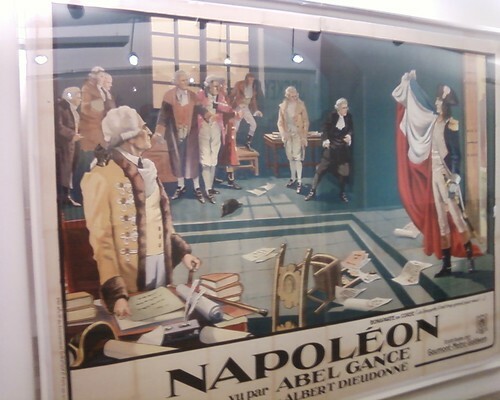 NFC was out of Bayonne, NJ and in 1911 they came west to escape the Patent Wars and Edison?s Men. According to Kevin Brownlow, there was originally an old roadhouse that had fallen victim to the ultra-conservative residents of the little burg. The owner was more than happy to sell his property and if the new owners were in the dreaded movie business (which the residents seemed to really dislike) that was even better. The Nestor group got to work immediately and were soon churning out product. Two brothers, Al and Charles Christie, worked as producer and director of many of the one-reelers. They soon changed the name of the studio to ?Christie?s? and continued to produce their *?Christie Comedies? * on the lot until the 1930s. As the Depression worsened, the Christie brothers began renting out the lot. In 1936, CBS bought out the Christies? and tore down their small studio. Work began on Columbia Square, their new radio headquarters on the west coast. 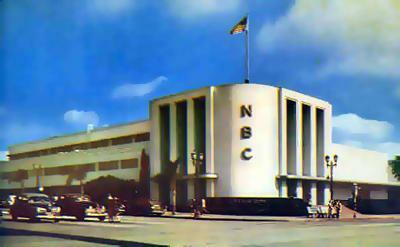 At this time, NBC Radio was nearby at Vine and Sunset as well. 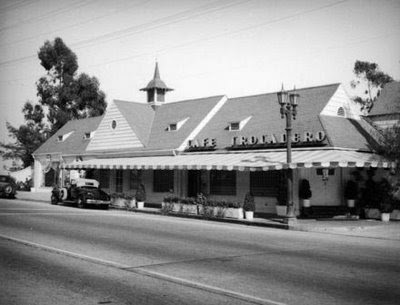 The International style of architecture that Columbia Square represents is one of the last examples of that architecture style still standing in the City of Angels. Radio Broadcasts from Columbia Square include: *Burns and Allen*, *Edgar Bergen and Charlie McCarthy*, *Beulah* and *The Lucky Strike Hit Parade*. When CBS got involved in television, they just added on. Up until last year, Channel 2, the local CBS affiliate, broadcast all its news from this location. Now all CBS production and news coverage is done from the Radford Lot in Studio City. Southwest corner of Sunset and Gower. This western style strip mall, anchored by a Denny?s is the former spot of Gower Gulch. 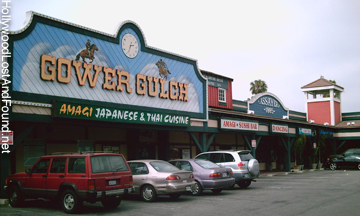 The western motif of the strip mall is supposed to be an homage to its former life as Gower Gulch, where various cowboys and Indians would gather, often in costume, every day in hopes of landing work at one of the various small studios that surrounded the area. Those studios were better known as Poverty Row. Look closely at that long row of windows that go down Gower Street. This is former home of the King of Poverty Row (until Frank Capra worked his magic and the studio went uptown), Columbia Studios. It was here that notorious studio boss, Harry Cohn, held forth terrorizing everyone he could. The studio was originally called the California Studios and Harry and his brother Jack (and partner, Joe Brandt) bought the place in 1927. They changed the name to Columbia. Despite the various smaller studios surrounding them and despite the ?Poverty Row? nickname of the location, the Cohn Brothers, like the Brothers Warner, had big, big dreams. With Frank Capra?s help, they soon left the Poverty Row moniker behind. Columbia owned the property until 1972 when they moved to Burbank to share the lot owned, curiously enough, by Warner Brothers. By then the brothers Cohn were gone and the brothers Warner had sold their studio to a conglomerate. Today, Sunset-Gower Studios is a hotbed of television production. Just north of Sunset Blvd on Gower Street. Want some of the best Chicken and Waffles this side of the South? This is the place. Drop in, grab a bite. You won?t be disappointed. 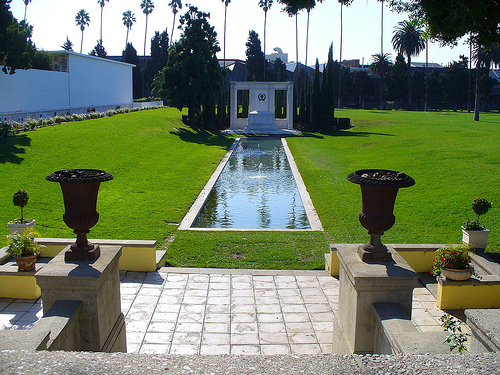 This is the old Hollywood Memorial Park Cemetery. This is where Hattie McDaniel wanted to be buried but the owner would not allow it because she was African American. Today, the new owners have a tribute to Hattie where Hattie wanted to be buried. Doug Fairbanks, Sr, Tyrone Power, the Cohn Brothers, CB DeMille, this is where the legions of classic Hollywood come to rest. If they aren?t here, they are at Forest Lawn, but most are here. Rudy Valentino is interred and every year the ?woman in black? still appears to mourn his passing. In the summer, movies are projected on the side of his crypt. Wow, so much to do! I'm staying the Mon & Tue following the festival so I will certainly check out some of these places. I'm coming from near Fairbanks, Alaska, and shopping up here is the PITS to say the least! I want to go to a shopping mall...any within walking distance of the Roosevelt? There is an entire retail mall at Hollywood and Highland, right across the street from the Roosevelt Hotel and next door to the Chinese Theater. while the Hollywood & Highland mall is interesting, if you want to do some SHOPPING, then I suggest making the short trip to the Beverly Center. And it is just a short trip by local DASH bus from the corner of Hollywood & Highland. It travels a "scenic" route down Sunset Blvd and then La Cienga. Best of all, the fare on Dash Busses is only 25 cents! There?s a light at the corner. While you are cooling your heels waiting for the light to change and to make a left hand turn, look over and up. See that partial globe coming out of the roofline? That?s all that?s left of RKO Studios. At one time, the radio tower stood atop the globe just like in the logo! Today it is part of Paramount Pictures. ?I?m ready for my close-up, Mr. DeMille.? Are you? This is the famous gate through which Gloria Swanson drove for her meeting with C.B. DeMille. This is probably the most famous studio entrance in Hollywood. The Gate has been immortalized in newsreels, movies and television shows. Behind the Gate is the last standing studio located in Hollywood (Warners and Universal are in the Valley, Fox is located in Century City, the old MGM lot, now Sony, is in Culver City. Columbia is now owned by Sony. Lasky would go on, with Adolph Zukor, to be a major force at Paramount and CB DeMille worked for years at the studio as a producer and a director. Mae wanted to leave near Paramount Studios. As soon as she made it big, she bought this building and lived in the penthouse for almost half a century. The building was built in the late 1920s and is a testament to Art Deco styling. The d?cor of her penthouse is legendary. Plush white carpet, white furniture, white appliances, white on white and more white. The interior was designed to show off Ms. West in the best possible light at all times. Legend has it that at twilight time, a champagne colored light would filter in and frame Ms. West as she sat interviews. They also say Ms. West so hated the look of the building across the street that she bought one, too. Local historian and broadcaster Huell Howser lives in Mae?s penthouse these days. Northwest corner, Wilshire and Irving Blvds. The pictures may have gotten smaller but Norma had a mansion that was fit not only for a star of her former stature but for an oil millionaire as well. J. Paul Getty owned the mansion but when he and Mrs. Getty split up, she got the house in the divorce. Billy Wilder came looking for a mansion near Paramount Studios and Mrs. Getty had one. Only drawback, it didn?t have a swimming pool. Paramount dug a pool and filled it up but it was a Hollywood pool, not for daily use but for motion pictures. When Warners came looking for a spooky mansion with an empty pool, Mrs. Getty was only too happy to rent the mansion and the empty pool to the filmmakers. The house was demolished in the late 1950s. Murder always smells honeysuckle here in the City of Angels and probably, moreso, at this house. The interiors were all filmed on the Paramount lot but the exterior was filmed here. The owners were recently spotlighted in the LA Times. They have spent a great deal of time restoring the interior as well and are very aware of their house?s place in cinematic history. Before it was the Henson Studios, it was A & M Records and before that it was home to Chaplin Studios. Over the last eighty years the names may have changed but the row of fairy tale Tudor cottages have not changed their exteriors. Built in 1918 by Chaplin, he expanded his empire to include the entire block from DeLongpre to Sunset. Chaplin is said to have lived on the lot in the large Tudor mansion. The mansion also included a horse stable and tennis court. In the 1970s, the mansion was torn down and a Safeway supermarket was built on its bones. But inside the Henson Studios, many of the original buildings still stand including the main soundstage (where Chaplin?s footprints are in cement), dressing rooms, carpentry shops and stables. Chaplin sold the studio in the 1950s. Owners included Red Skelton, American International and CBS. If you were a big fan of *Superman* with George Reeves, many of the episodes were shot here. *Perry Mason* with Raymond Burr was another show shot here. In 1966, Herb Alpert and Jerry Moss took over the studios, restored them and made them A&M headquarters. When Alpert decided to finally sell the property, Jim Henson?s family bought the property and have kept it intact. This is the location of the original Brown Derby. Original owners included Gloria Swanson and her husband, Herbert K. Somborn. The restaurant opened the year his divorce from Swanson became final, 1926. There are lots of legends of how the restaurant got its shape, everything from the shape of Gov. Al Smith?s hat to a friend who said ?If you know anything about food, you can sell it out of hat.? There were five locations over the years including one in Beverly Hills, one in Los Feliz and the glamorous one in Hollywood. It became a landmark along with its signature Cobb Salad. 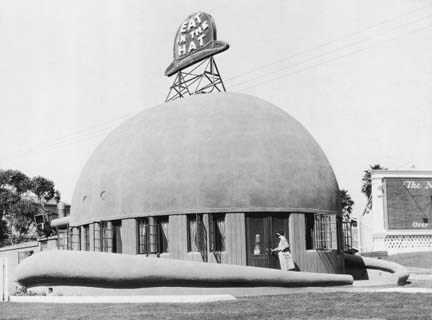 In the late 1970s, the restaurant was sold to developers who promised to keep the hat. Well, they did. Today it is located in the back of a strip mall next to Japanese restaurant. In the 1970-1980s, preservation efforts to save classic Hollywood sites were battered left and right and many battles were lost before people realized that too many sites were being lost to developers. One of the amazing stories of that era is the Wiltern Theater. The theater was designed by G. Albert Landsburgh (Warner Hollywood theater) and famed City of Angels architect S. Stiles Clemens. The Wiltern was one of the premiere Art Deco movie theaters on the West Coast. It debuted in 1931 and seated 2300. 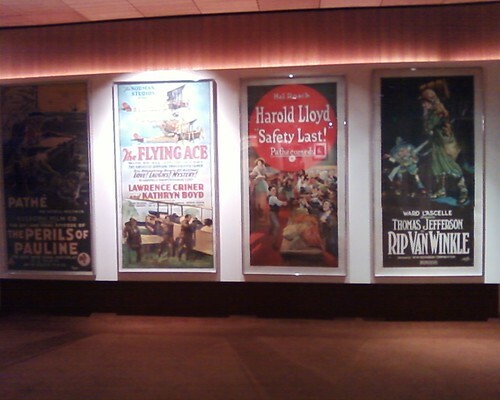 *Alexander Hamilton* was the premiere and the theater was supposed to be the flagship theater for the brothers Warner. A special wooden ?Bridge of Stars? was erected over Wilshire Blvd when the city decided not to shut down the street for the premiere. The theater, built in the dark days of the Depression, struggled from the beginning. 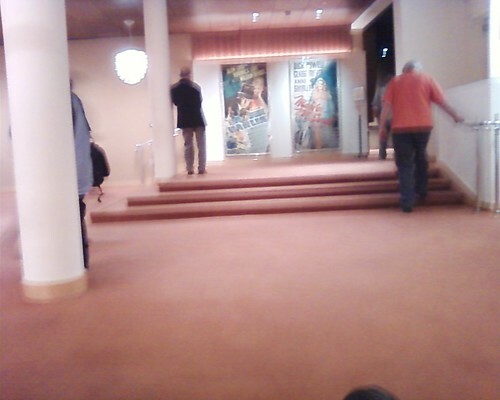 The brothers Warner pulled out and the theater was shuttered. 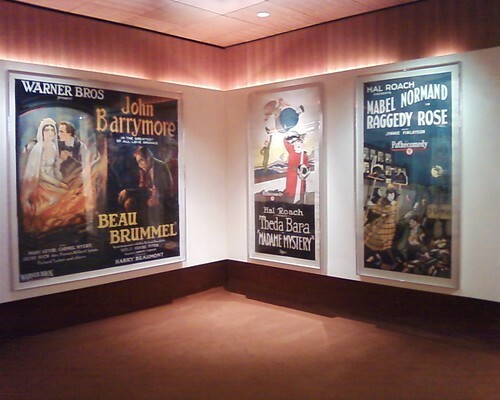 At the end of the Depression, the Warner brothers returned to the theater and operated it until the 1950s. The 1960s and 1970s weren?t kind to the Wiltern and in the late 1970s, developers were circling. At the almost 11th hour, a white knight came riding up. 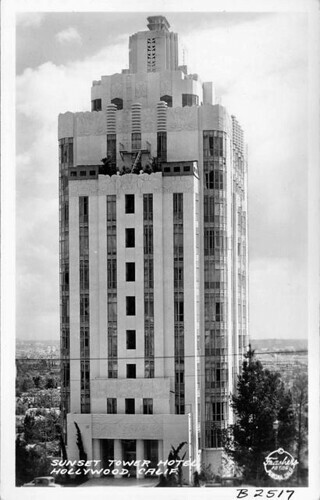 Developer Wayne Ratkovich worked with local architect, Brenda Levin, to restore the Wiltern. Today, the Wiltern is still standing and is home to live performances. It?s exterior and interior beauty is still intact. Awesome! Thanks for the shopping. Where is the Whisky A Go Go???? Is that walking distance or a DASH ride away? 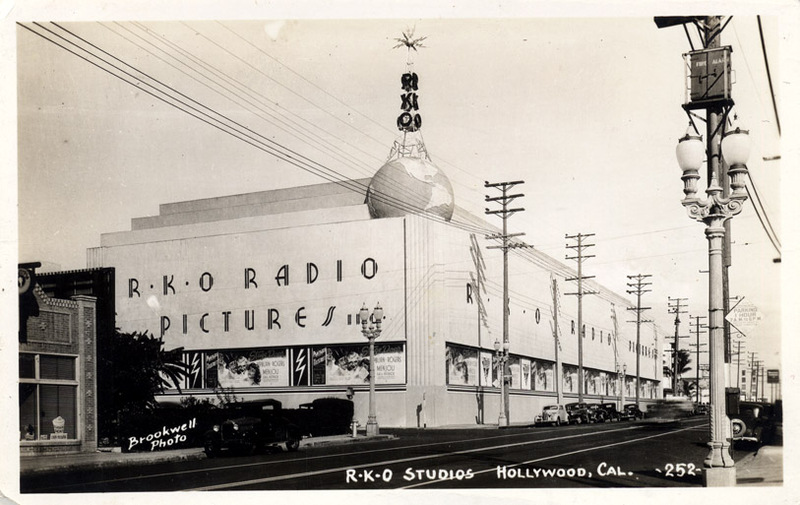 Thanks, lzcutter for all the work you did on composing such a great list of Hollywood sites! I will definitely make those a part of my trip! Getting so excited...only a few days away!! I don't know the exact cross street but it isn't far from the corner of La Cienega and Sunset - which is on the route of the DASH bus I posted below. But the DASH service ends around 7pm in the evening which wouldn't get you there if you wanted to see a show at "The Whiskey" one night. You'd have to cab it. Awesome, I think I'll go there Monday night...I don't care if there is a show or not. I just want to say I had a drink where The Doors got their start! I think an awful lot of us are going to owe Kyle and lzcutter some drinks this week! Glad you (and everyone else) are enjoying all the info on the historic sites. As for drinks, sounds good to me! If I may, for those who may be interested, there are a number of studio tours (Paramount, Universal), but my favorite is the Warner Bros. VIP tour. A lot of history on that lot. Plus you get to get things at a good price in the WB store there. Lynn has briefly mentioned the El Capitan Theatre (which is on the block next to the Roosevelt), but I would highly recommend you somehow find time to catch a movie there. It is an exquisite theatre of the old school grand cinelas, and the opening of the curtains is worth the admission alone. Disney did a magnificent job of restoring this theratre and they keep it up. The staff all wear uniforms like they did in the old days. This falls outside historic sites, but I know some of you will be looking for Hollywood memorabilia shops. Regrettably, most have closed up (Collectors Book Store being the greatest blow to the Blvd. ), but there is still Larry Edmunds Book Shop (whose prices are still way too high on many things), Hollywood Book and Poster, and another whose name escapes me in an alley on Hollywood Boulevard. I agree wholeheartedly with you about the loss of Collectors Book Store on the Blvd. Back in the late 1970s/early 1980s, I loved to hang out. The old wrought iron gate that they opened every morning was just beautiful. I had forgotten about Larry Edmunds still being on the Blvd. Another old bookstore I really miss is the old Pickwick books. That was another great place to get lost in for an afternoon. You can't go wrong at the Bob's Big Boy in Burbank. Designed by Wayne McAllister, it is one of the great historic landmarks in the little 'burb. Jay Leno is often seen there on Friday evenings after taping his show at NBC. Papoo's Hot Dog Stand is right across the street. A fire damaged the place and the sign and it was closed for awhile but is now reopen. The sign still shows damage though. There is a theater company in the English Tudor style building just east of Bob's. Director Garry Marshall often directs plays there. Warner Brothers and Disney Studios are both nearby. As Peter has pointed out, WBros offers a studio tour that is quite good. The Autry Museum of the West is nearby as is the Equestrian Center. The Autry is a wonderful museum that has a wonderful permanent exhibit to celluloid cowboys of the big and little screen. The old movie palaces downtown may be showing their age but they are still grand landmarks to an era that has vanished. Be sure to check out the pylon sign for The Tower theater. It was damaged in the 1971 Sylmar earthquake and has never been repaired. > Lynn has briefly mentioned the El Capitan Theatre (which is on the block next to the Roosevelt), but I would highly recommend you somehow find time to catch a movie there. It is an exquisite theatre of the old school grand cinelas, and the opening of the curtains is worth the admission alone. Disney did a magnificent job of restoring this theratre and they keep it up. The staff all wear uniforms like they did in the old days. I have tickets tomorrow night at the El Capitan for Alice in Wonderland 3-D. The last night for this film is Tuesday 4/20. I'm excited!!! Be sure you get there early. They might have the guy playing the organ that sinks into the floor. *The American Film Institute* is located on Western, just north of Franklin, in Hollywood. It is really more of a small campus for students of film, not so much a resource you can make use of. I mentioned Larry Edmunds Bookshop the other day (though I don?t ever like going in there ? staff arguing with each other, high prices, etc.) but I can recommend the *Samuel French Bookshop* at 7623 Sunset Blvd. Hollywood, CA 90046, a few blocks before you get to Fairfax. They have the best selection of new film and theatre books in Hollywood, plus a great backroom of discounted books. The *Hollywood Public Library* (aka Frances Howard Goldwyn Public Library) at 1623 N. Ivar and the *Hollywood Post Office* at 1615 N. Wilcox are both worth dropping in on to view large reproductions of posters and movie star stamps, respectively. Both are a mere half block south of Hollywood Blvd. You might also like to walk over to the Arclight Theaters on Sunset to see the famous Hollywood Dome and across the street is Amoeba Music, which has the best selection of records, DVD, CDs, Blu-rays in all of Hollywood. One note: go in with a list of what you are looking for because otherwise with the loud music blaring non-stop you are likely to lose your concentration. They are also quite high priced and I go in there usually just to see what is out and then get it cheaper on Amazon. And one cautionary thing I would like to mention?as you are walking along Hollywood Blvd and having a great time, you will likely pass two places (one close to the Egyptian) where they will have someone out front who asks if you would like a free personality test. Before you say yes out of fun and give your name and any other info, ask them what group they represent. It might alter your decision. Coming to the Film Festival but want to visit some classic sites (both still standing or where they once were), this is the thread. Between now and travel time, I will be adding more classic Hollywood and Los Angeles sites that mean something to classic film and tv fans! We tend to forget that before there was Hollywood as we know it, it was a small town with homes just waiting for the right developer to come and do his magic. Los Angeles Times publisher Harry Chandler and two partners were just those developers. They dreamed of Hollywood being a place where people could live in a variety of architectural styles from Spanish haciendas to Moorish mansions and everything in-between. 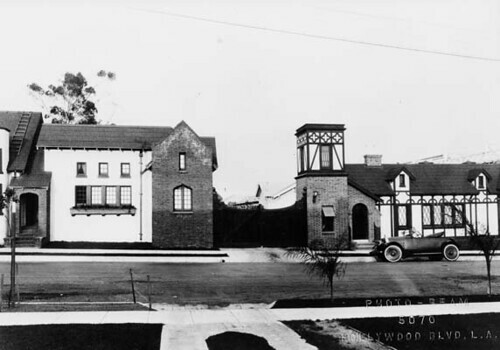 In 1923, they erected the Hollywoodland sign to advertise their development. Located above the boulevard in Beachwood Canyon, the development promised living ?above the traffic congestion, smoke, fog and poisonous gas fumes of the Lowlands?. Today, many of the original homes are still standing as are the original Hollywoodland ornate gates at Beachwood Drive and Westshire Drive. To the right of the gates is a storyboard cottage that was originally the first real estate office in the area, Hollywoodland Realty Company. To the left of the intersection of Beachwood and Belden is where a scene from *Invasion of the Body Snatchers* was filmed with Kevin McCarthy and Dana Wynter. Mack Sennet had planned to build a mansion in the Canyon but never did. Looming above on the side of the hill is the sign that started it all, the famed Hollywood sign. Erected in 1923, the sign has over looked Los Angeles for almost 90 years. It made history in 1932 when starlet Peg Entwhistle, depressed over the lack of her career, jumped from the ?H? to her death. Made of wood, the sign began to deteriorate and maintenance of the sign was discontinued in 1939. In an effort to get out from under the sign, Chandler and partners deeded the sign to the Hollywood Chamber of Commerce. The ?Land? portion of the sign was removed as the Chamber thought it better to use the sign to advertise the city instead of the Canyon. Over the years, the sign has been restored and has been threatened with demolition. In 1978, the sign was threatened and Gene Autry spearheaded a ?Save the Sign? effort that brought donations from everyone from Johnny Carson to rocker Alice Cooper. Last year, the sign was threatened again when a developer wanted to build homes overlooking the sign. This time Hugh Hefner and the LA County Supervisors came to the rescue. ?Come on Debbie, let?s go home.? Many a film has used the Bronson Caves as a location. Everything from *The Searchers* to *Invasion of the Body Snatchers* to the TV show, *Batman*. 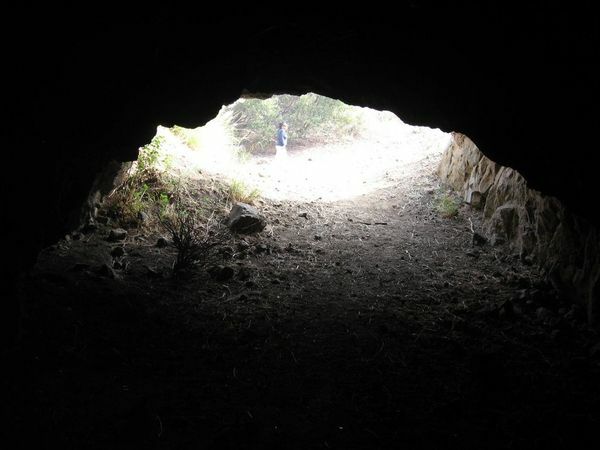 Located in the beautiful Griffith Park, the caves are accessible by driving north on Bronson Avenue until it turns into Canyon Drive. Stay on Canyon Drive until you enter Griffith Park. Park. The caves are a short hike to the east. Back in the day, nightclubs were a staple of Hollywood life. Stars used to finish work on the studio soundstages, go home and get dressed to the nines and hit the clubs like the Trocadero and Ciro?s. Located on the famed Sunset Strip, this nightclub hosted not only the Hollywood elite but the movers and shakers as well. 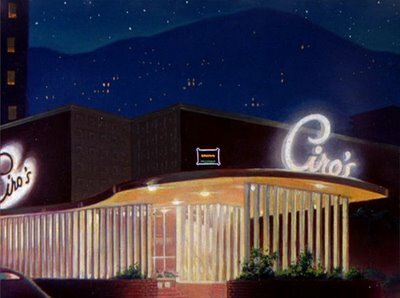 Founded by W.R. Wilkerson, the owner of the Hollywood Reporter, in 1939,Ciro?s really hit its stride in the mid-1940s. Wilkerson, an invertrate gambler, sold Ciro?s to Herman Hoover so he could concentrate on building the Flamingo Hotel in Las Vegas until he ran out of money and had to go into partnership with Benjamin Siegel. Ciro?s was so popular that studios made arranged dates for their starlets and up and coming male stars. Mae West played Ciros as did Martin and Lewis. Stripper Lili St. Cyr caused a minor scandal and had her show shut down for lewdness. It was at Ciro?s that Johnny Weissmuller dumped a table of food into the lap of Lupe Velez, his soon-to-be ex. Darryl Zanuck took off his suit jacket, shirt and tie to do chin-ups from a trapeze that was part of a stage show. In 1957, the IRS claimed that Hoover owed a large sum for not collecting the 20% entertainment charge on private parties. Though a court case cleared Hoover and said he did not owe the money, the whole ordeal had stressed his finances to the point of bankruptcy and Ciro?s was no more. Today, it is the famed Comedy Club where comedians from Robin Williams to Richard Pryor to David Letterman all got their start. At one time, this was the other nightclub to be seen at. 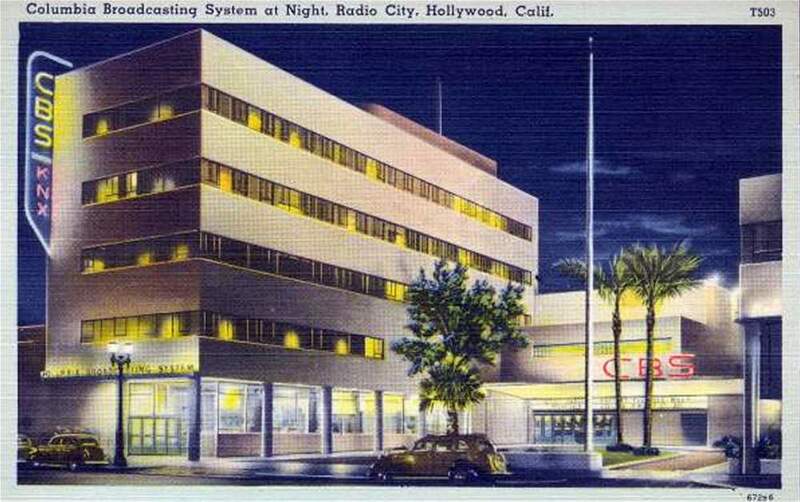 In 1934, W. R. Wilkerson, the owner of the Hollywood Reporter, opened this premiere night spot. It can be seen in the original *A Star is Born*. It was at the Troc that David O. Selznick and Jock Whitney held the premiere party for *Gone with the Wind*. Nat King Cole entertained there. In 1946, it closed its doors. Today, all that remains are three steps at the southeast corner of Sunset Blvd and Sunset Plaza. It was a low-rise, half-timbered restaurant that was called Dino?s Lounge, named after its owner, Dean Martin. It entered pop culture not because of Dino but because of the celebrated TV show, *77 Sunset Strip* that featured the popular eatery each week. One of the most beautiful Streamline Moderne buildings in the City of Angels, it opened as an apartment building in 1931. Designed by Leland A. Bryant, this is a monument to art deco styling. Over the years everyone from Howard Hughes, Billie Burke, John Wayne, Paulette Goddard, Preston Sturges to Bugsy Siegel called this place home. Due to its location, it has commanding views of the City of Angels. In the early 1980s, developers began moving out the residents in hopes of turning the apartments into a co-op. *Hogan?s Hero?s* star Werner Klemperer, who lived in the building, refused to move and brought things to standstill. In 1985, even Klemperer had to move. The building was finally restored in the late 1980s and today is a luxury hotel. Thanks for posting this information, lzcutter! It's great. Nice update for 2011, Lynn. Just wanted to add that a stay at the Sunset Towers Hotel was the Grand Prize in the "Moguls And Movie Stars" contest last fall. BTW - Are the "Music Box Steps" part of this thread? Thanks, Chief, for the kind words. Yep, the steps are part of this thread as well as some other surprises I have been researching! Glad you are enjoying the thread. I've got more sites coming as we have just passed the 90 day mark! Yikes! 90 days! I can't believe it!